Raspberry Pi – Where do I start? 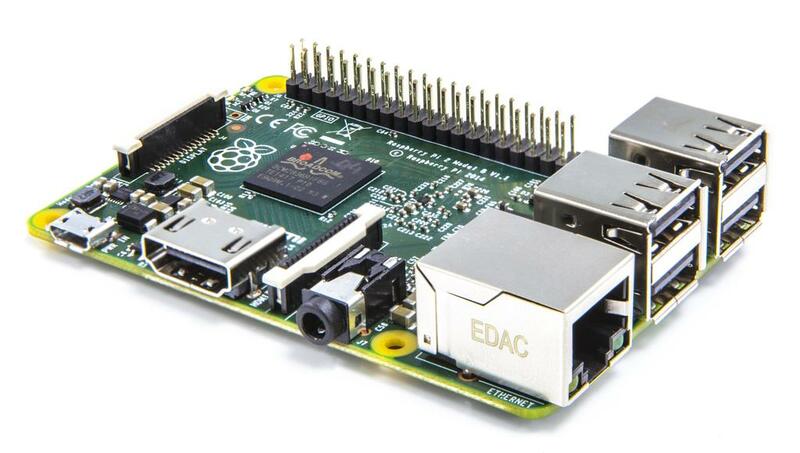 What is the Raspberry Pi and why should I bother? The Raspberry Pi is a credit-card sized computer. You plug in an SD card (which contains the operating system), a keyboard, a mouse and a monitor and you’re all set! The Pi was designed to help people, especially children, learn how to program/code and to understand electronics. In our modern age of devices, gadgets and whizzy things, it is important to know how they work, not just how to use them. We have become a society of technology users rather than technology creators – the Pi was designed to get people interested in creating again. If you, or your son/daughter, has ever shown an interest in technology (and let’s face it, these days who hasn’t?) then getting them a Pi and helping them to learn coding and learn how technology works is key to their survival in the wider world. In order to get started with the Raspberry Pi, you need some equipment. I have provided links to get them, mostly from The Pi Hut, but there are other vendors, obviously. an HDMI monitor or television (or a different monitor with the correct cable or adapter). Lots of vendors have these – shop around. eBuyer is pretty good if you’re in the UK. Where do I buy a Pi? To get all this, there are various vendors out there. I always recommend The Pi Hut because they’re my closest vendor and Jamie who runs it is friendly and helpful. Now that I’ve got the Pi, how do I make it work? The first thing you’ll need to do is to download and install an ‘image’ of the operating system. This is the file that you will write or ‘burn’ to your SD card. The easiest way of doing it is to get hold of ‘NOOBS’ which makes the process easier. Read the Foundation’s guide to getting NOOBS and installing it here. Once you’ve got the operating system onto the SD card, insert it into the Pi and away you go. Read the Foundation’s quick start guide here – this will tell you how to login, amongst other things. Now what can I do with it? Scratch – a visual programming environment aimed at primary school children. Minecraft Pi Edition – a version of Minecraft that you can hack through Python as well as just play around and build structures. Sonic Pi – use computer code to compose music. Python & Idle – a text-based programming language & a code editor suitable for slightly older children and adults. Mathematica – an industry-standard computational platform suitable for older programmers. Any tutorials or guides available? What books and magazines are available? Adventures in Raspberry Pi by Carrie Anne Philbin (make sure you get the second edition) This is THE book to have, as far as I’m concerned (here’s my review of the first edition). It’s sort of a mini course in using the Raspberry Pi from first principles of setting it up and turning it on. Buy it from Amazon. Adventures in Minecraft by David Whale and Martin O’Hanlon. Just a brilliant book (with the same design aesthetic as the Philbin book) that shows you how to hack the Pi’s special version of Minecraft. Really goes down well with kids as it takes place in a three-dimensional world onscreen that many kids are already familiar with. Buy it from Amazon. Learning Python with Raspberry Pi by Bradbury and Everard – for when you get onto Python programming properly, this is that ‘next step’. Another great book. Buy it from Amazon. The main magazine for the Raspberry Pi is The MagPi. It was started by a group of enthusiasts and was then taken over by the Raspberry Pi Foundation. Since the takeover it has increased in size and improved greatly in quality (and it was already pretty good to begin with). It is always available for free electronically from the website and from the end of July 2015 you can get it in print form. Linux Voice (which is more Linux-y but does cover Pi stuff as well). How do I get started with experimenting with electronics on the Pi? 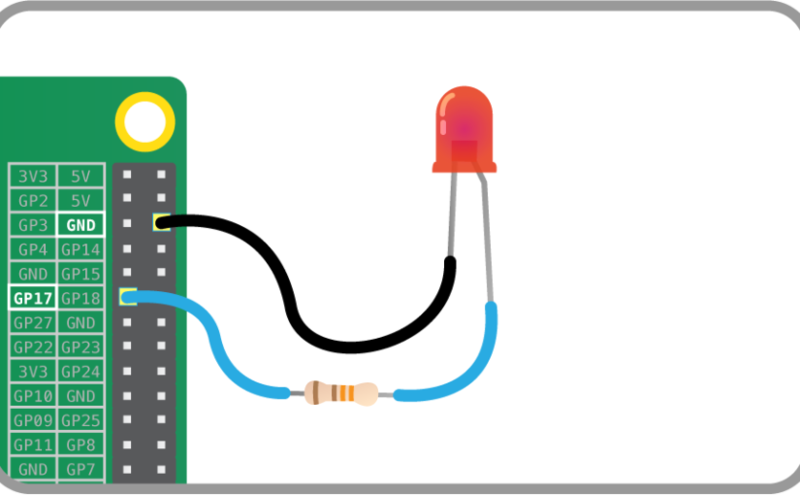 Programming with the GPIO pins on the Raspberry Pi is now so much easier with the GPIO Zero library. If you’re having trouble getting started, or the RPi.GPIO way is too difficult for you as a beginner, take a look over on this site for some examples (they call them recipes) of how GPIO Zero can make your life easier. Are there any good websites for beginners? For LOADS of free resources, go to the Raspberry Pi Foundation’s website. For when you’re beginning and you want videos … take a look at Raspberry Pi IV Beginners and also The Raspberry Pi Guy. For inspiration for projects, keep an eye on my blog – I post several times a day about things to do with the Pi and there’s lots of project ideas and news on there. For when you’re a bit further down the line, there’s a lot of good stuff on RasPi.TV. Are there any training courses or workshops I can go on? In terms of training courses, the Foundation don’t run them for kids themselves, they encourage schools to do that for them. 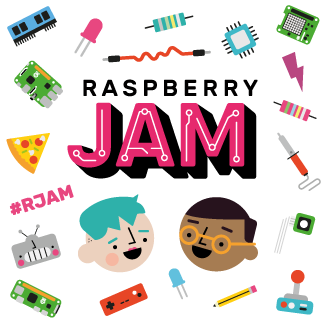 However, there is a huge community surrounding the Pi and one of the things we do is to run what are called “Raspberry Jams“. At Jams you get a mixture of talks, show-and-tell, workshops and other activities to broaden your knowledge and skills using the Pi. Take a look at the Official Calendar to see if there’s a Jam you can make near you. Where can I find out about the camera module? The Raspberry Pi camera module is a great bit of kit – it’s fairly cheap (available from The Pi Hut, amongst others) and is very flexible. It is an 8-megapixel sensor on a small circuit board that attaches via a ribbon cable to the connector on the Pi. There are two versions: the regular one and the infra-red one (useful for taking pictures at night if you use IR LEDs). Check out Les Pounder’s excellent beginners’ tutorial on Element 14. 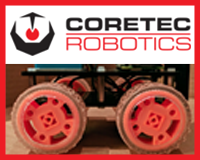 How do I get started with robotics? 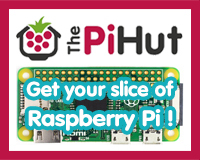 Rather than regurgitate the information here, head over to the Pi Wars website’s Getting Started page for some resources that will help you get going with one of the most fun things you can do with the Pi! It’s not as hard as you’d think to get started and it certainly isn’t as expensive as you think! 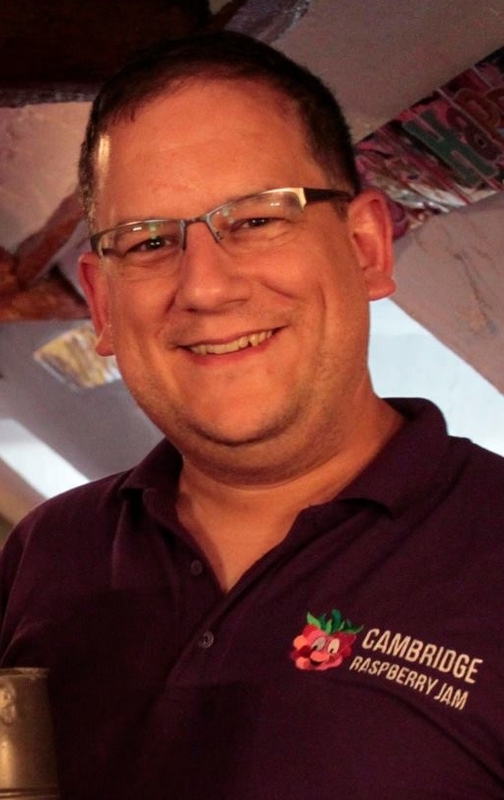 You can pick up a CamJam EduKit 3 for not much money and it includes everything you need to build a fully functioning robot! 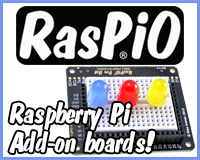 RasPiO ProHAT – a great idea from Alex Eames. This puts all the GPIO pins in the correct order and gives you a small breadboard to help you build circuits. There’s a lot of protection built-in and I think it’s especially great for beginners. ExplorerHAT Pro – this is an excellent one with lots of capabilities, including analog input allowing you to connect up lots of different sensors (which themselves are very cheap if you get them from China) and motor controller pins. They’re the ones used currently by the Raspberry Pi Foundation at their Picademy. PianoHAT – this is a fantastic music-focused HAT which has touch pads to allow you to play an electronic piano. The buttons are read in as inputs by the Raspberry Pi and then interpreted and the correct sound ‘sample’ played out via the audio port on the Pi. You’ll also need headphones or a speaker (I recommend this one: http://thepihut.com/products/mini-portable-speaker-for-the-raspberry-pi – it’s powerful, small and rechargeable). TrafficHAT – if you want simple and cheap, you can’t go wrong. It has 3 super-sized LEDs, a buzzer and a button and is suitable for kids just starting out with the GPIO. You learn about input and output and you can progress to programming a complete traffic lights sequence. SenseHAT – this is a fantastic HAT created by the Raspberry Pi Foundation. 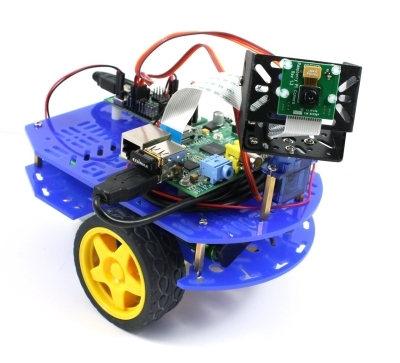 It has lots of sensors on-board and an 8×8 LED matrix. It is currently being prepped to go up to the International Space Station in December. It’s not the cheapest but it is well worth the money due to the on-board capabilities. 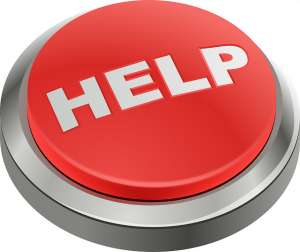 If you get into real trouble with getting started, you can post to the Raspberry Pi Forums. It can be a bit daunting posting something publicly, though, and if that’s the case, you can reach me directly by using this contact form. I’m online 90% of the time and will try and get back to you quickly! Fantastic post Mike, exactly what we needed! Great post Mike, I was just about to write a similar one for the Ipswich Jam page, but I think the best thing to do is just to link yours in. hello any know which config command for raspberrypi b+. There’s a number of different ways. You can either set your Pi up as a ‘Samba’ share and copy the files across the network. Or you could transfer the files via an ssh connection. Or, and this is probably the easiest, you could copy the files to the /boot area and read it on a Windows/Mac machine using an SD card reader. Does that help? 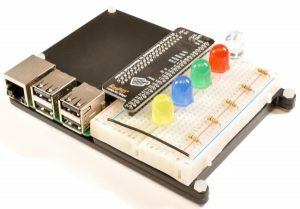 Can you recommend an absolute beginner’s starting guide specifically for the Pi Zero – including very simple practical demo projects using latest HAT add-ons? The best thing I can suggest is to look at the recent issues of The MagPi which contain a lot of articles about getting started with using your Zero. If all else fails, come back to me and I’ll add to this getting started guide with information that you’ll find useful. how can i use the 3.5 output to connect to a screen? You need an adapter that splits the audio and video out. This one is known to work: http://www.mcmelectronics.com/product/24-15489 or if you’re in the UK: http://www.ebay.co.uk/itm/Triple-3-x-Phono-COMPOSITE-AV-Video-2x-RCA-Audio-to-4-pole-3-5mm-Jack-Adaptor-/261069290878?hash=item3cc8f13d7e:g:GTUAAOSw5ZBWOJ7r will work. My 7″ TFT screen is reversed when on the stand purchased with the screen. I have found instructions from circuitbasics.com which refer me to adding a small instruction on the end of the boot/cmdline.txt file. My problem is that this file does not have the expected text on my Raspberry Pi. I am a newby and therefore having to tolerate this problem. Hi Barrie. Please provide details of your 7″ screen – where did you get it from, what type is it? Could you give me the link on circuitbasics.com that you found? What _does_ your cmdline.txt have in it? Hi and thanks for responding. My 7″ Touchscreen display is from Element 14 viewable 155 x 86. Resolution 800 x 480 10 finger capacitive touch. Hi again and thanks for the help. The display is now correct but the Raspberry Pi Logo and the option to use the shift key remains inverted during the early start sequence. This could be tolerated as it is only viewed at the outset. Then, ask your question on there, but let them know how far you’ve got by yourself. If it’s a question of not knowing where to start, say so, but if you’ve managed to do something by yourself already, say so. I’m a little busy for the next week. If you’ve not had any joy over on the Forums, come back to me and I’ll try and sort it out with you. its seems like no one have answered to my question so far don’t know why.Hope u could help me with it.I have to display multiple notices (as text or as images ) on a display connected to raspberry…..please do help me…. I have a Raspberry Pi and still can’t get it to work. I have visited the official Raspberry Pi website and the instructions don’t help. What’s the issue you’re having? I’ve to make a chat program between arduinos and a Raspberry pi. Now i’m just ping_back and ping_out. Is there any chance to help?